Dymo LabelWriter 4XL - Includes: Printer, Standard Printer Drivers, USB Cable, Cleaning Card, AC Power Adapter & Cable, User Guide, Quick Start Guide, Starter Roll of 4" x 6" LabelWriter Shipping Labels. Print on a variety of labels for many applications, from office to commercial environments including shipping and receiving, inventory control, retail, health care and transportation and logistics. 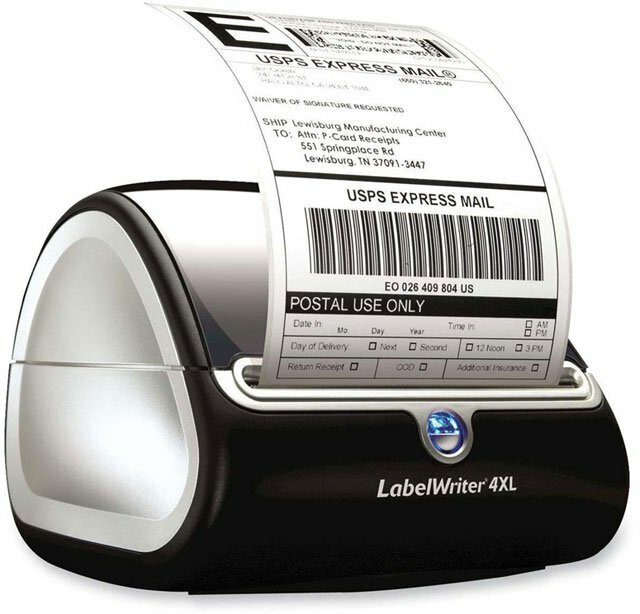 The LabelWriter 4XL is the easy and cost effective way to print a wide range of professional quality labels up to 4" wide. Offering 300 DPI quality, fast print speeds and a sleek, compact design, this 10 cm (4") label printer delivers terrific results at a great value. 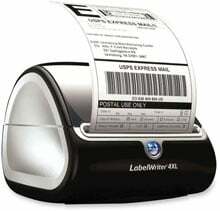 Plus, the economic direct thermal technology means the only supplies you'll need are the labels. No ink. No toner.